HISAKA gaskets can be generally attach onto the plates via two methods – glue on or slit in. 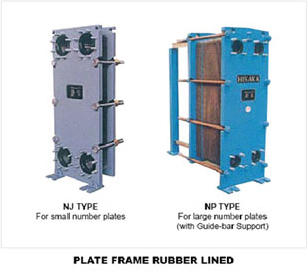 Plate Heat Exchanger is used in almost all industrial processes. 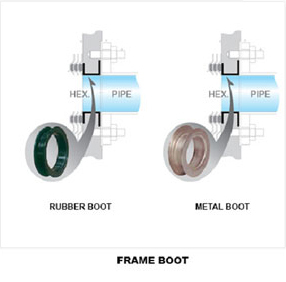 Therefore, the gaskets are specifically selected based on the operating condition. A wide range of gaskets, such as, NBR, EPDM, IIR, FPM, Silicon, and many more, are made available to cater for all industrial needs. These gaskets do not require S-1 glue for adhesion. On the contrary, the slit in gasket is especially recommended for those applications where frequent replacement of the gasket is required. Furthermore, without the usage of adhesives, adhesion odor can be greatly reduced, hence, making it especially suitable to be applied in food and beverages industries. With constant research and development, HISAKA has pioneered PTFE cushion gaskets for Plate Heat Exchanger. 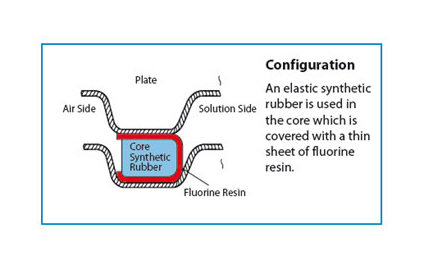 It is normally used in applications where conventional synthetic rubber would have limitations due to the corrosiveness of the fluid being handled. 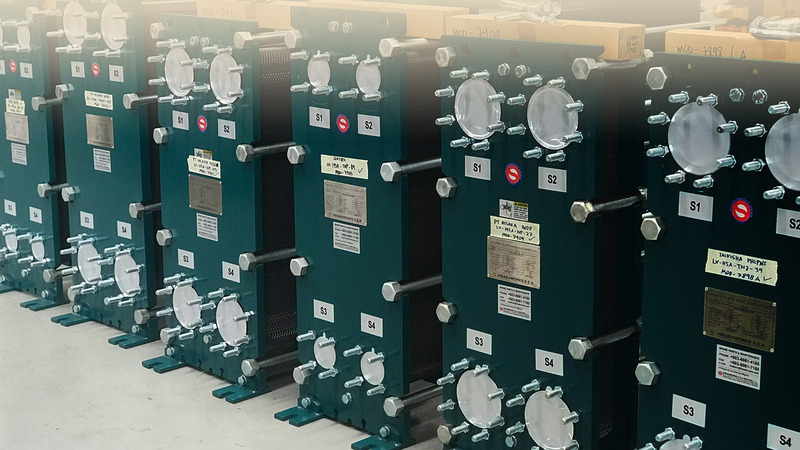 With this new development, the Plate Heat Exchangers can have wider industrial applications due to the high chemical resistance and durability of PTFE. 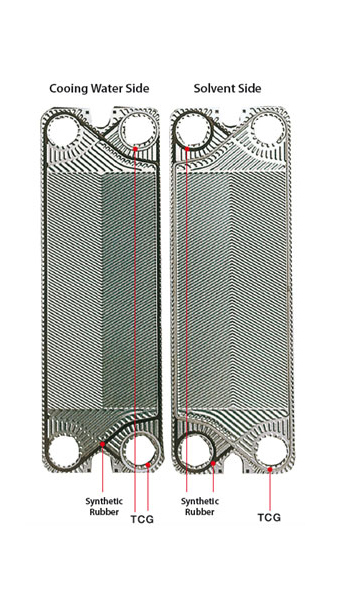 TCG gasket can be used for one side only; therefore, conventional gaskets can be used when non-corrosive fluid is running on the other side of the plate.